All our works are skillfully executed and monitored. So you can enjoy a quality product. Have you been dreaming about longer a pool house but you are afraid of the price? Please get in contact Wood in Style and let yourself be surprised by our workmanship and our excellent price! 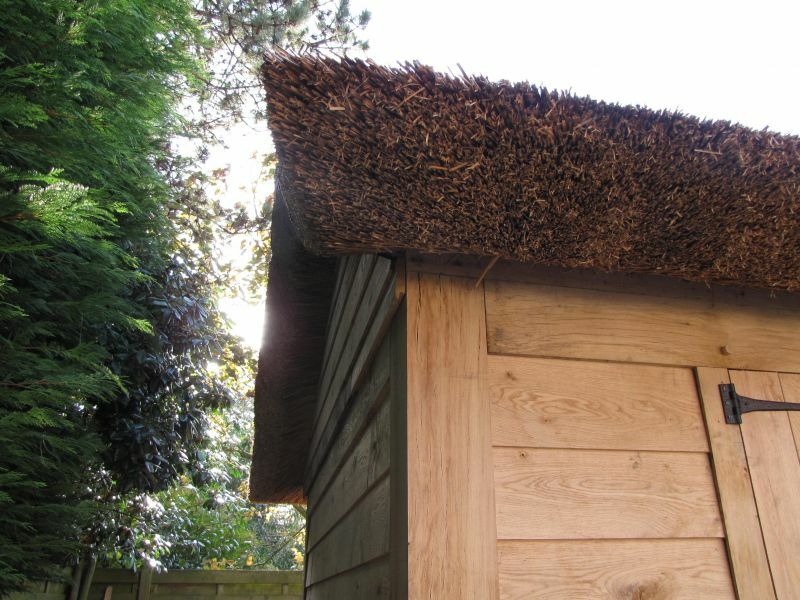 Most of our customers come for an oak outbuilding with a plan of the architect. 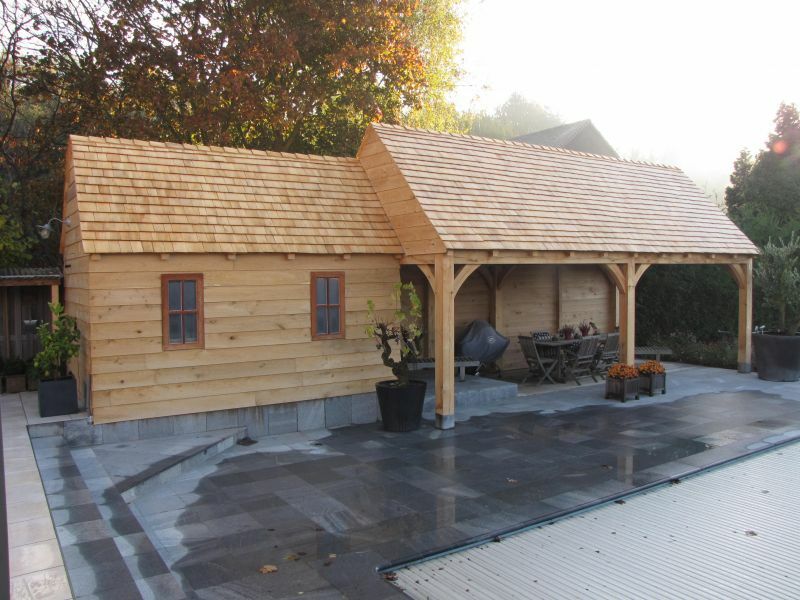 The wooden outbuilding, carport or pool house is fully engineered in 3D CAD/CAM. This creates a complete picture of the oak building and details and dimensions of the oak elements determined. In English tradition, a framework made ​​of oak colums, beams with the necessary oblique struts provide the basic structure of the building. The composition of the bars is done with authentic compounds. Pin and hole, dovetail, dual pressure connections, etc.. Welcome to the website of Wood in Style. We are a young and dynamic company based in East Flanders and thence active throughout Belgium. Wood with Style specializes in Pool Houses, Exclusive garden houses, outbuildings, Pavilions and carports. Second, we mainly use the oak wood because of its durability, are very appealing and not unimportant, oak is a very environmentally friendly wood. 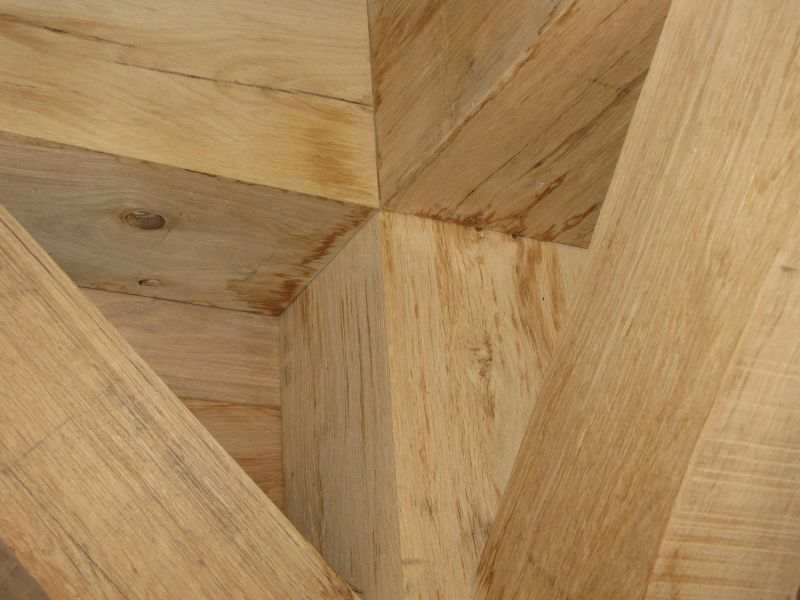 It is not for nothing that our customers choose oak precisely because of its rustic and elegant qualities. These quality products together with the craftsmanship of Wood in Style ensure that we can make your dreams come true. Ask for a quote once and you'll see that your dream is a reality could be. Wood in Style delivers namely quality at an excellent price. Wood in Style uses only the best materials. 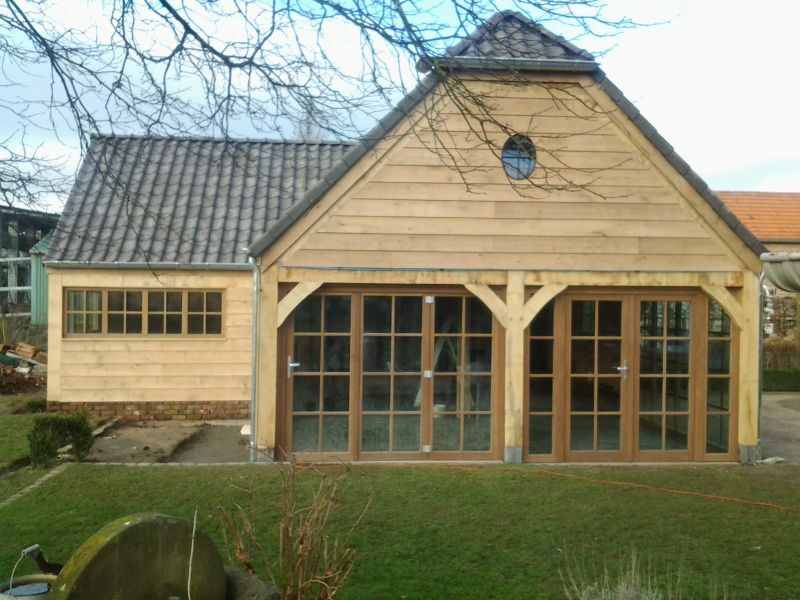 The outbuildings, carports, stables, pool houses, terasse, porches, garages for you by our experienced joiners in a few days put together. This is done in the centuries old traditional way, with pen and tenon. b> Wood in Style is the address for Pool Houses, Luxurious Garden Houses, Oak Outbuildings, Pavilions, Horse Stables, and Carports. Wood in Style is the trusted address for Pool Houses, Luxurious Garden Houses, Oak Outbuildings, Pavilions and carports. Are you looking for a reliable company that delivers quality at an excellent price? Please feel free to contact Wood in Style. We help you in achieving your dream.